Cheap and delicious – It’s hard to get both of these together in Singapore these days. The island’s self proclaimed status as a food paradise is debatable as the selection of high quality, affordable dining is quite poor. Food tends to be either considerably pricey and very good or cheap, mass catered and mediocre. Tourists are routinely directed to dine in the ubiquitous food centres with their plastic seats and gaudy signs. There are some tasty finds in such large dining quarters and they are worth visiting, but one soon tires of them. Reading your article made me pretty hungry! 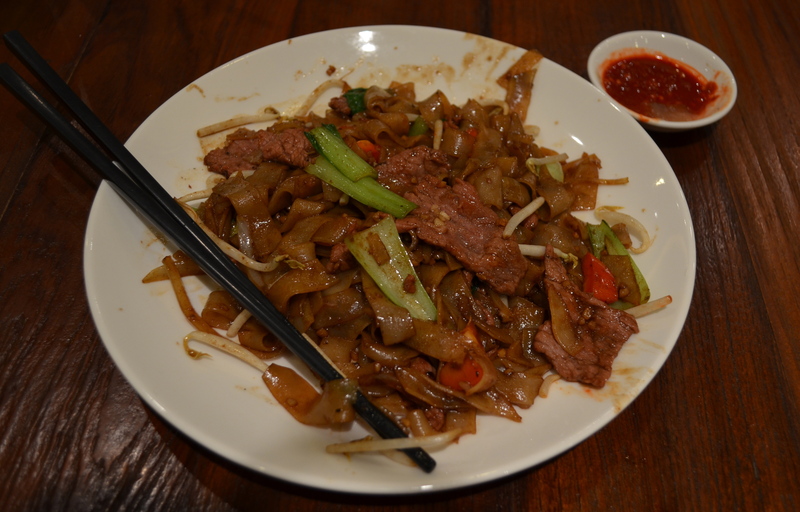 I can’t say I found that much amazing food in Singapore, but I obviously wasn’t there long enough to find it! Prices are going up, but honestly I could eat at hawker centres all the time without getting tired of it. Sure there’s a lot who are doing ok enough and cheap but nothing special. But when you find a hawker stall that knows its thing – fantastic. I love the way good food is expected even down to the cheapest level of dining here, though. Generally the minimum standards are quite high, compared to the shopping malls of Brisbane where I hail from. Yeah, the organic/free range farm thing is going to get you. I can understand that. And I maintain that it’s still miles above shopping mall food in Australia, although I realise that’s setting the bar low. Still the best $15 meals on the island. I can’t improve on this list!